The only gift worth a damn is the gift of good health. Niantic's been hard at work providing a steady stream of content to Pokémon Go, and another incoming update is poised to improve the app in a big way. "Adventure Sync" lets you record your walking distance, hatch Pokémon eggs, and collect Candy even if you don't have Pokémon Go running. Gen 4 of Pokémon Go is well underway, and its Halloween festivities are in full swing, so the Adventure Sync news might seem comparatively dull. Don't dismiss it, though. When Adventure Sync is live (soon, according to Niantic), it'll be a lot easier to reap the rewards Pokémon Go dishes out for getting off your tushie. Adventure Sync connects to Apple Health on your iPhone, and Google Fit on Android devices. According to the press release handed out by Niantic earlier today, Adventure Sync "[Gives] players access to a weekly summary that highlights distance traveled on foot and other stats, including calories burned or steps counted, if their device makes those available. "Adventure Sync will give Trainers the option to apply their activity and movement during their morning commutes, strolls about town on lunch or evening jogs back to Pokémon GO for some big rewards," the press release continues. 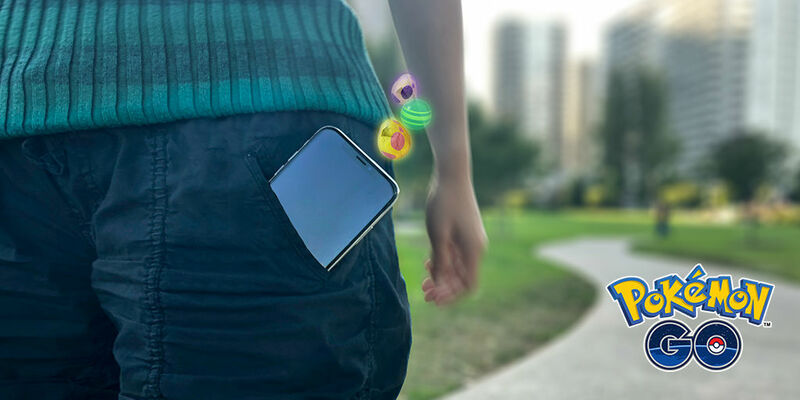 "While Trainers will be rewarded regularly in Candy found by Buddy Pokémon or Eggs hatching more efficiently, they will also be able to participate in weekly milestones for walking that will reward them for their hard work." Long story short, Adventure Sync should make it easier to collect the kilometers necessary to hatch eggs and get Candies. Right now, if you don't have Pokémon Go running while you walk or run, you get diddly squat. With Adventure Sync, you won't have to worry about forgetting to turn on your Pokémon Go app before leaving your house—and you won't have to worry about making sure it stays on, since iOS automatically turns off apps it deems "inactive," even if that app is running a background process. If you're a chronic Pokémon Go player, Adventure Sync will give your battery a break, too. It should fall on its needs and thank the Li-Ion gods. I'm also glad to see Adventure Sync gives you the option to measure your progress in steps. Hopefully steps can be transferred directly into Egg-hatching power. Cold weather is coming to the northern hemisphere, which means more people are taking their exercise routines indoors. Currently, Pokémon Go exclusively uses distance to measure your progress in egg-hatching and candy-collecting. That means running a mile on a treadmill yields no rewards, even if you're sweating like a fool. I look forward to Pokémon Go rewarding me for walking in place like a Rattata on a wheel in a science lab. Pokémon Go's Adventure Sync news isn't as immediately exciting as news about a new raid, but this update is as significant as the addition of Friend lists, gift-sharing, and other big updates applied to Pokémon Go since its launch. Look at our Pokémon Go guides hub for more information about Adventure Sync, Gen 4 raids, and more. Tagged with mobile,	Niantic,	Opinions.